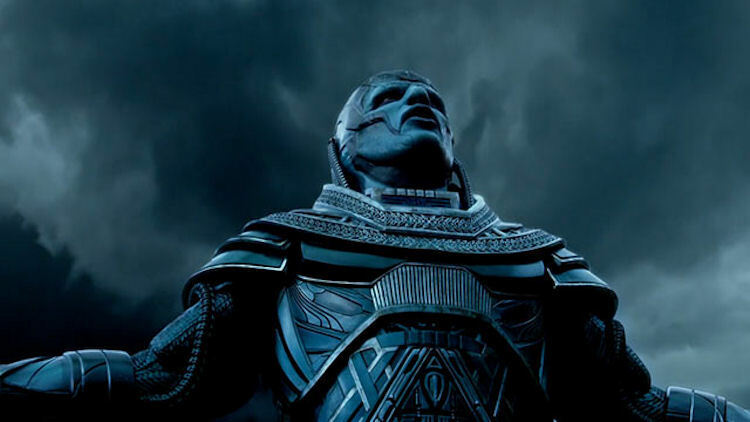 With all the recent criticism over Batman v. Superman: Dawn of Justice and the unrelenting hype over the impending release of Captain America: Civil War, it’s easy to forget there’s Another: Superhero movie hitting theaters next month — X-Men: Apocalypse. After a couple of trailers for the latest X-Men saga that were largely met with disgruntled fans comparing the movie’s villain to Gumby, FOX cranked up the wattage for its latest trailer and put the mutant powers on full display. It also lays out what looks like the basic plot of the movie. The super-est of all super-mutants Apocalypse (Oscar Isaac) returns to torture humanity with his Four Horsemen. In the process, he kidnaps Professor X. It becomes up to a disillusioned Mystique to turn a bunch of green students into X-Men. The trailer packs a lot of mutant on mutant action into a couple of minutes. There’s Angel vs. Nightcrawler. A look at Sophie Turner’s Phoenix freaking out.